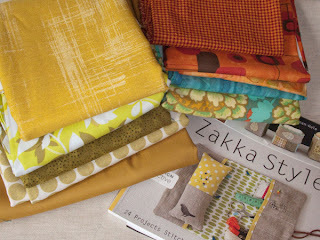 Fabric manipulations and crafts mixed with life's little stories. WOO HOO!! 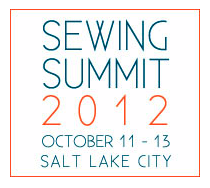 My registration for the Sewing Summit in Salt Lake City is done and the flights just booked. This is the place to be, happy October birthday to me!! Are you going?? I know tickets sales have been fantastic and I would not be surprised if it sold out soon! I look forward to exploring Salt Lake City before and after the summit as it will be the first time there for me. Also looking forward to meeting the bloggers I've been reading and emailing this past almost year, along with sewing, taking classes, meeting more people, and shopping. Also was great to use up some frequent flyer miles that were collecting dust and pay a minor fee for a seat upgrade leaving more money to spend on SHOPPING! 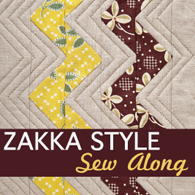 The Zakka Style sew along starts this week. I've pulled these fabrics from my stash, along with ivory 100% cotton linen from a recent trip to Mood Fabrics in New York City. 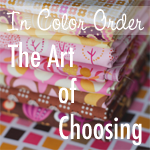 I love the look and feel of linen and quickly purchased Rashida Coleman-hale's new book right when it was released. My flikr photos are finally updated and have also been browsing the flikr groups I've joined. So many talented people and so many wonderful items made! Love what I see and love the comments I've been getting, all has been inspiring me to do more! How are you doing with your sewing? 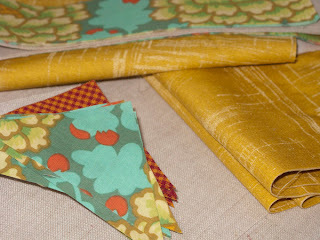 Maybe a little goal setting and a sew along or two will get you sewing more too! It sure is helping me! Life long New Jersey resident, married for over 30 years with three children (well they are adults now ) six grandchildren. I am a self employed post partum care provider, photographer and artist.